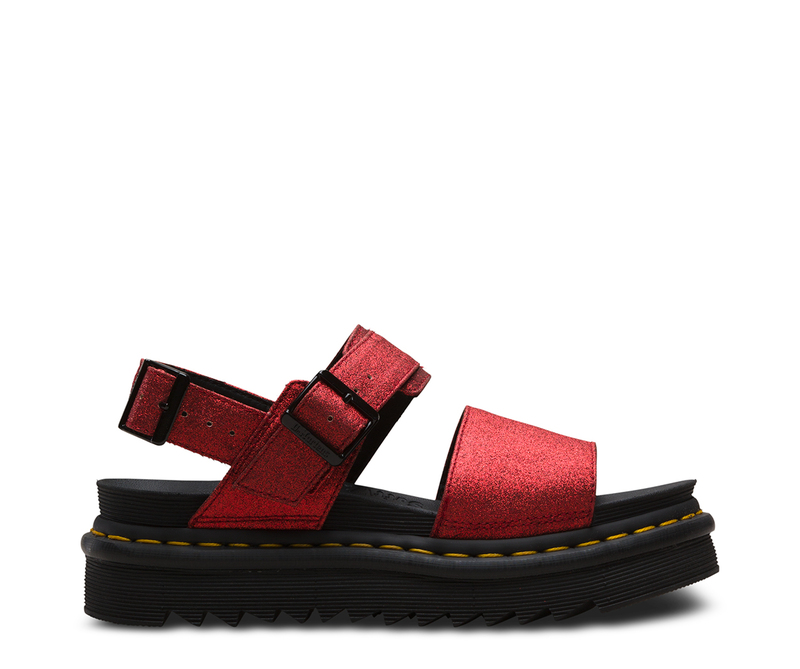 Here's how we do sandals: with tons of attitude, toughness and our signature Dr. Martens style. 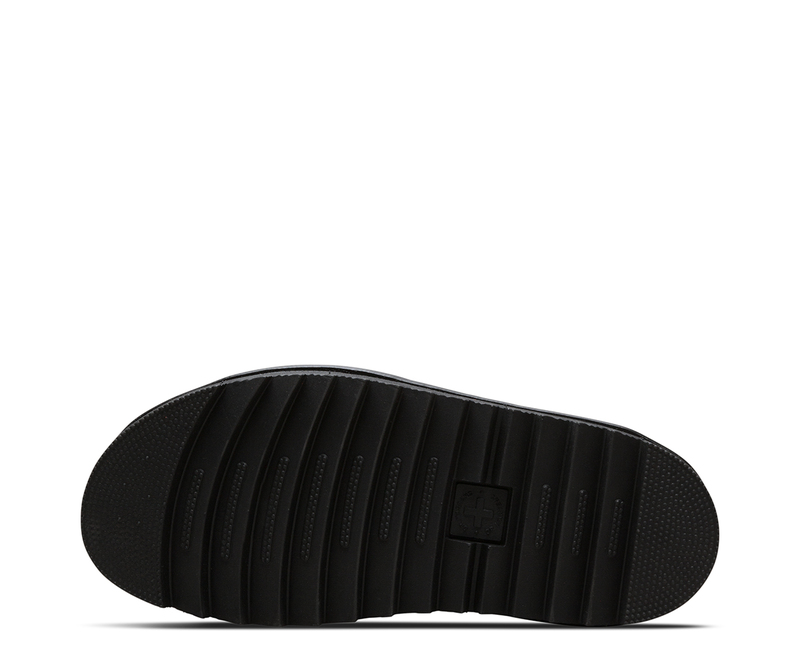 The Voss has all that, plus our signature comfort, with adjustable straps at the ankle and heel, a super-lightweight sole with a ripple tread, and an ultra-sturdy Goodyear welt. 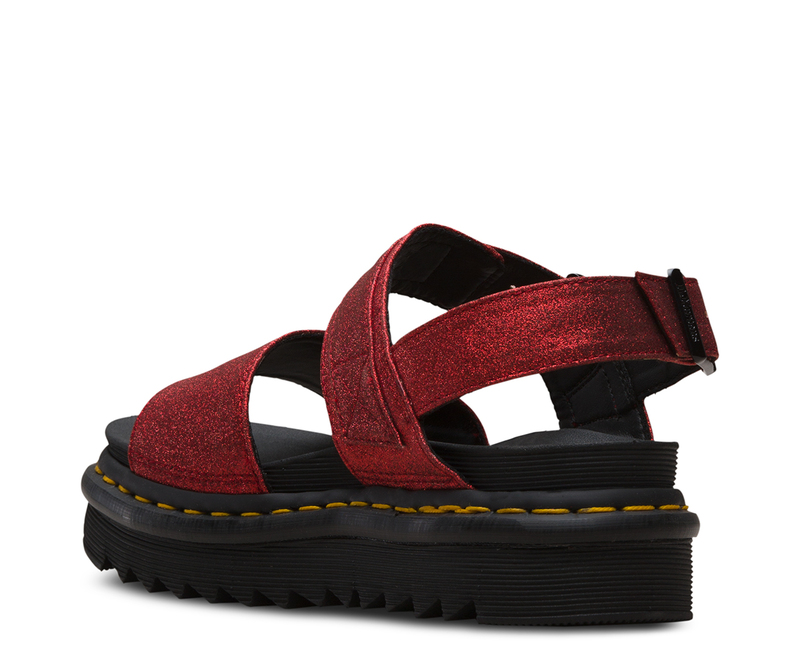 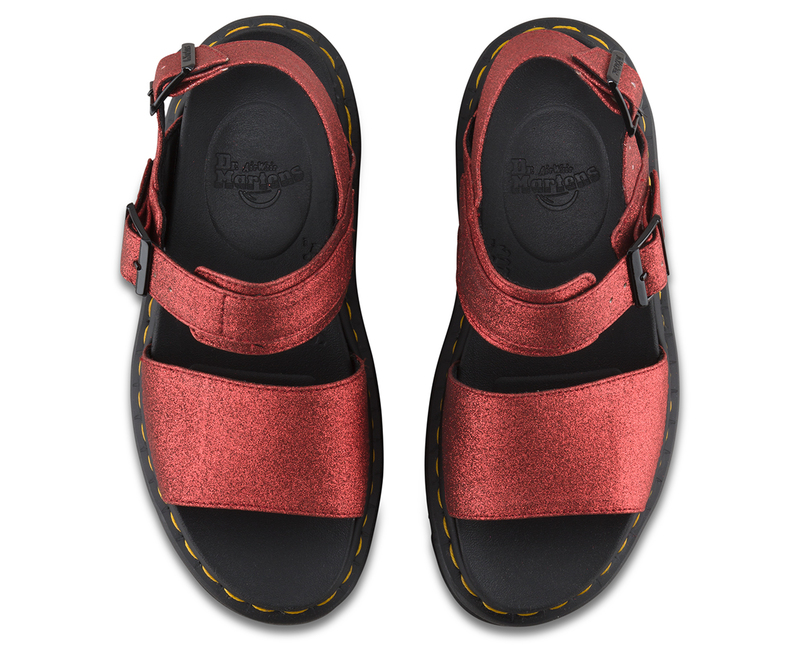 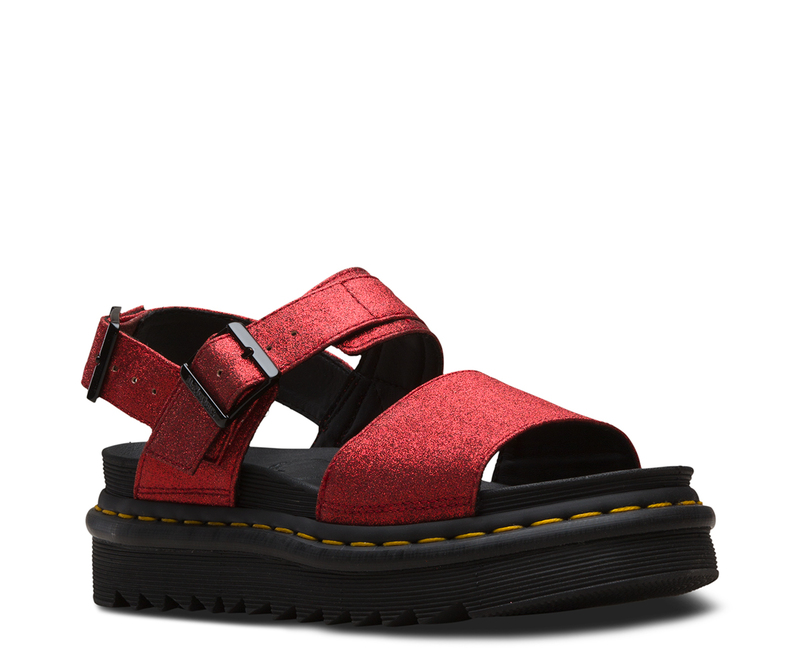 This season, the durable sandal comes in a sparkly, ruby-red glitter — just in time for festival season.